When Marie Clair first met Puff, she could not believe how chubby she was. "Puff is the biggest cat I've ever seen," Clair told The Dodo. "It was obvious her previous owners had overfed her and overdone the treats." 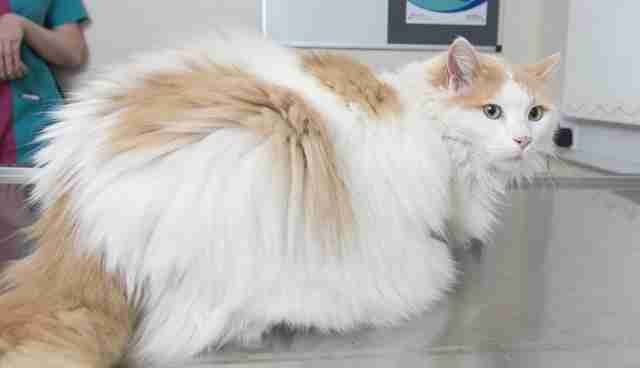 Clair adopted Puff from a local shelter in England, and had to transport her home in a dog cage because she was simply too big for the cat carrier she had brought. While she tries to be careful about what the chubby cat eats, Puff is always hungry, and has found clever ways to sneak food. "I'm strict with what she eats but she's determined - I've caught her eating the fish food from the fish tank before," Clair said. 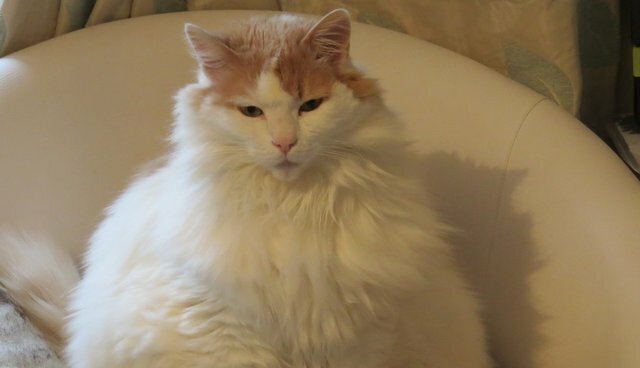 Puff is at risk for health issues if she stays so big, and so her mom decided to enroll her in PDSA's Pet Fit Club program. 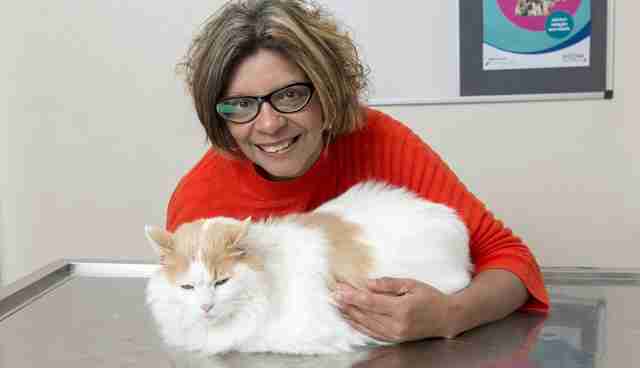 The Pet Fit Club is a weight loss competition for pets in England, and is currently in its 11th year. "Each year we select a number (up to 20) of overweight dogs, cats and rabbits from across the U.K. to participate," Jessica Wassell of PDSA told The Dodo. 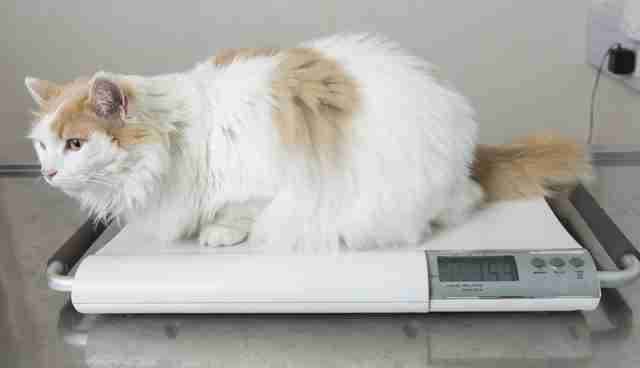 "They are put on a diet and exercise program at their local PDSA pet hospital and attend monthly weigh-ins to track their weight loss." Puff has lost a little weight so far but still has a long way to go. She's competing against four other cats, six dogs and a rabbit. At the end of the Pet Fit Club program, a winner is crowned - and just maybe, Puff will be the one to take home the title.